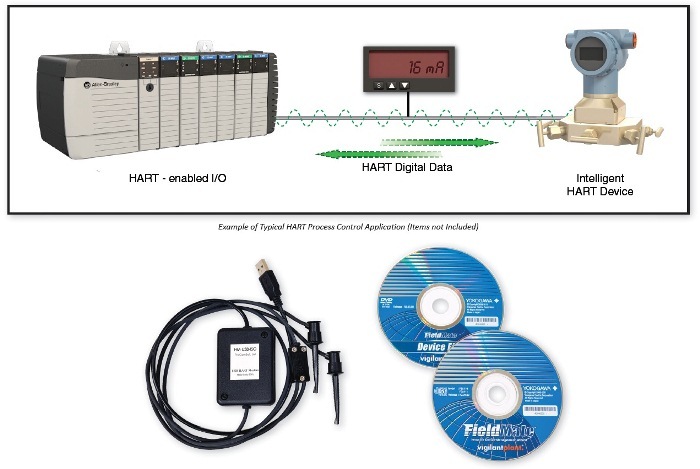 Amatrol’s T5552-H1 Hart Process Control 1 Learning System connects to the Amatrol’s T5552 Level/Flow Process Control Learning System to teach one of the most commonly used communication protocols. The HART (Highway Addressable Remote Transducer) communications protocol is a powerful technology that has widespread use because it has backward compatibility that lets smart sensors digitally communicate on existing 4-20 mA control wires without harming analog signals. Using the T5552-H1, learners will practice valuable hands-on skills such as configuring and installing a HART interface, using a HART field device to verify the integrity of a process control loop, measure flow and calibrate a differential pressure flow transmitter using HART software, and many more industry skills! The T5552-H1’s highly interactive multimedia curriculum allows learners to study the theoretical aspects of HART and then follow along with step-by-step explanations of hands-on skills. Topics include HART networks, existing system integration, and calibrating HART devices and monitoring current loops.